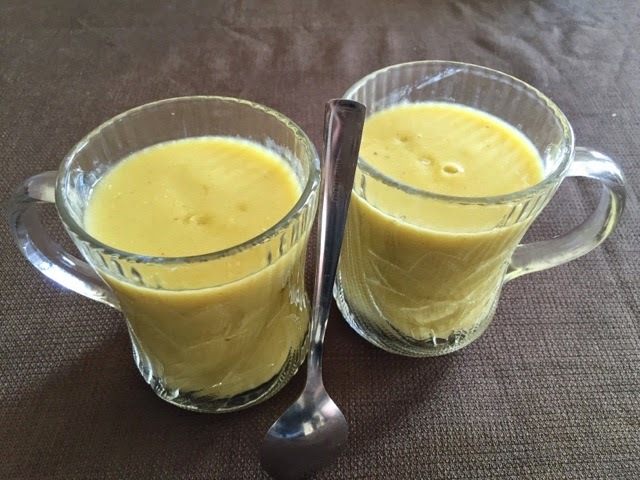 This is a simple shake made with tropical fruits like Banana, Mango and PineApple. Since there is lot of sugar in these fruits I did not add any sugar in this. This is my first shake where I have added some greens that is Broccoli. 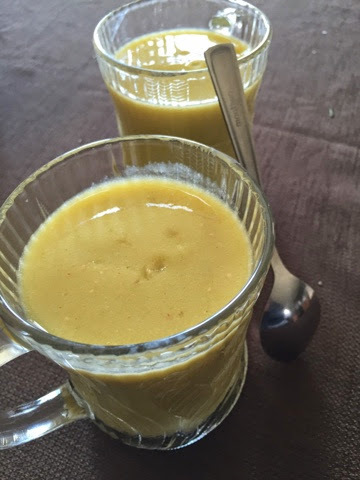 Love the beautiful color, superb taste and smooth texture of this shake and this will happen several times in my kitchen for sure. Give it a try, here is the recipe! First add all fruits in nutri bullet cup in this order. 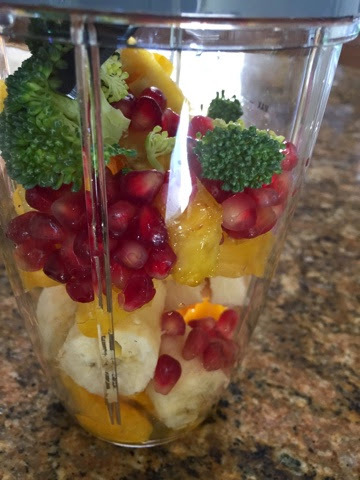 Banana, Mango, Pineapple, Pomogrante Seeds and Broccoli. Close the lid tight and Pulse for 30 sec. Then add orange juice and pulse for another 30 sec. Finally add water and pulse for another 30 sec. Then you will get shake consistency. Transfer this into cups and enjoy every tropical fruit in this shake! Will be back with another healthy shake recipe, take care until then! Yes Kala! Juicing is becoming contagious and addictive these days! I bought mine with my sister's motivation. And several of my girl friends bought NutriBullet after mine. I loved this product for it's simplicity, inexpensive and elegance. I say Go for It, you will not regret! Very healthy and tasty looking shake.